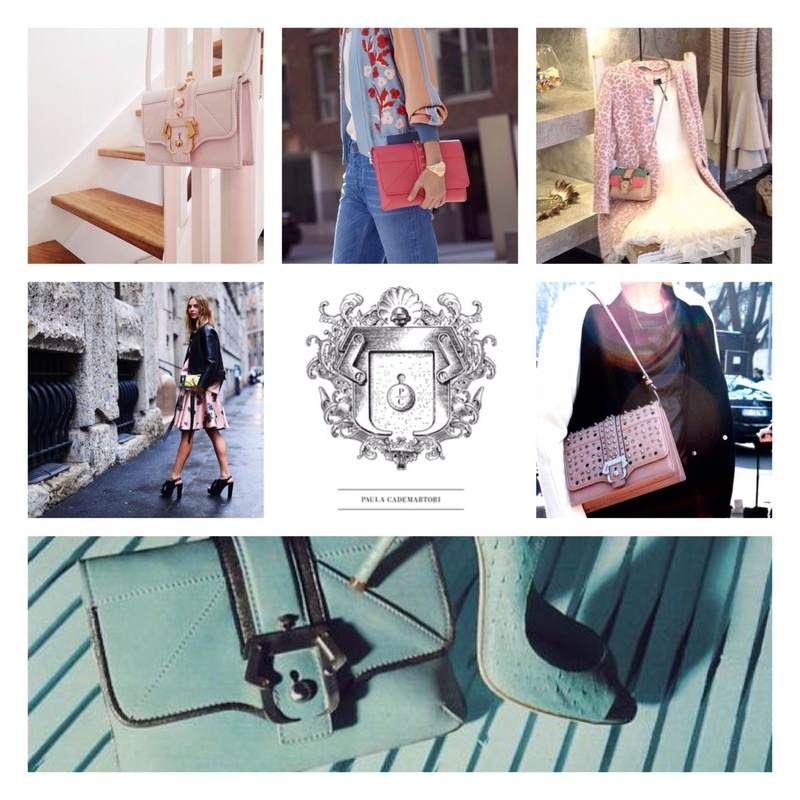 The bag is supposed to make you look beautiful, it must capture sights and express an opinion. I don’t like to show-off, I’d rather a sober luxury, the kind you can find in the details. I hope my bag collection will convey the message that the accessory is something meant to last over time. My brand is on the market since S/S 2011. I had my debut in Paris at Première Classe – Jardins de tuleries – during Paris Fashion Week. For the new Paula Cademartori F/W 2012-13 collection I sought inspiration in the rhythms and high spirits of Brazil, my home country, drawing on the joyous and carefree atmosphere of Rio and creating a vibrant collection that elects light and color as icons of style for the colder months. The palette I chose is one of primary colors, enriched by the hues that recall the kaleidoscopic images of tropical flowers and plants, such as Amazonian green, lipstick red, vitamin orange and ocean blue. The image of petals and flowers evokes the hand-embroidered “Jungle Flower” applied on demand on each model with a sophisticated patchwork of lizard and suede. 4. What is the place/time that most inspires you to work? I am fascinated by the most diverse creativity fields, specially art and photography: I collect images from different time periods and I keep them in a sort of scrapbook. I’m also very attracted by the communication speed there I can find on internet, I’m constantly connected to blogs and newspaper/magazine that I love. Colored pencils and paper with a lot of creativity. 6. Let us know more about you. What can not be missing in your closet ? All my accessories and of course some vintage pieces. 7. What Do you prefer shoes or bags? Oh, that’s a very difficult question, cause I’m really addicted to both. 8.What is your favorite word? 9. What is your least favorite word? 1@. If you had to choose one person from the past or present to wear one of your creations. Who would she be? More than a woman surely: for every woman who really knows how to appreciate and distinguish the quality and craftsmanship of an accessory that lasts over time. Remaining in the world of fashion I greatly admire Carolina Dieckmann, Costanza Pascolato and Donata Meirelles style, the elegance of Caroline Issa, Tamu McPherson, Shala Monroque and the personality of the wonderful stylist Patti Wilson, among others.